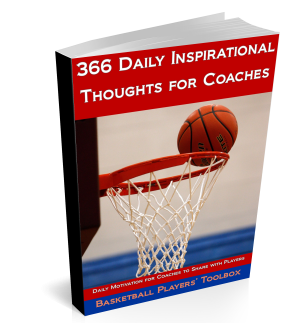 This basketball shooting drill came from the University of Washington Women’s Basketball Coaching Newsletter. Each spot you shoot from should be a shot that you can get within your team’s offense. You must make a game speed move for lay-up/midrange jumper and also make a 3 point shot. If you make both shots, you are a +1. If you miss one shot, they you are at 0. If you miss both shots, you are –1. Keep a running total. If you get to +5 you win the drill if you get to –5, you lose. So the goal is to STAY POSITIVE. Once you get to +5 for that section, then make 5 FT’s. Change the cuts, screens, shots and go again. Goal is always to STAY POSITIVE. Will give you a few examples here… keep in mind You MUST adapt them to YOUR shots. This is just an idea of how to score and keep a drill competitive more than trying to copy the drill action for action. We have about 25 different ones for variety. Passer (c) passes to the shooter. Shooter attacks the basket off the rip to score. This can be a lay-up, a floater, or mid-range jumper. After completing that shot, the shooter simulates cutting to corner off a baseline block screen for a 3-pointer. +5 or –5, then make 5 FTS. Player starts with ball on wing. 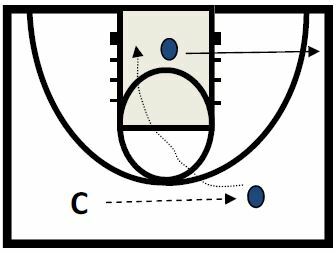 Simulates using a ball screen and drives it to score. After the shot, shooter cuts to the wing for a 3 point shot. Shooter starts at the nail. 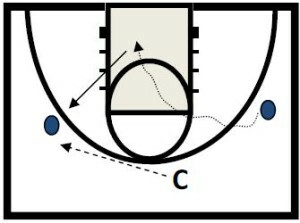 Cuts to the arc simulating a flare screen for a 3 point shot. From the spot where shot is taken, shooter receives another pass from coach. Shooter rips it through a drives it to finish. 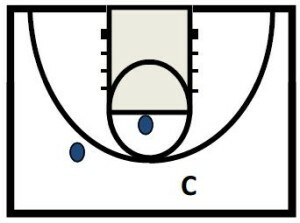 ** Be careful when you do the shorter shot 2nd in the sequence that you don’t allow them to take a NON-game type shot in effort to not be –1 if they have missed the 3 pointer.